The banking sector in Russia is stable enough and can withstand the deterioration in the economic situation even with the worst case scenario of oil prices at $40 per barrel, according to the head of the Russian Central Bank. 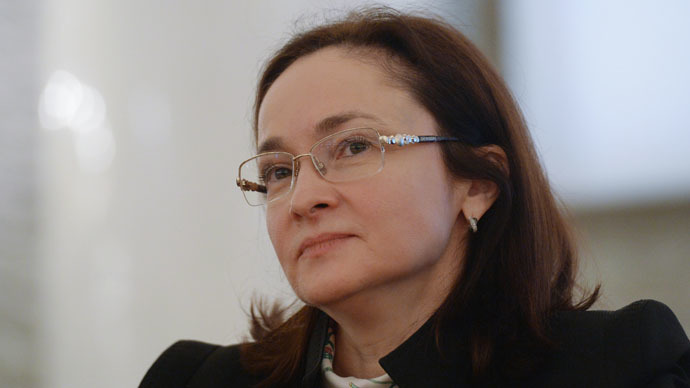 Russia’s Central Bank considers the banking sector is stable, Elvira Nabiullina, the Central Bank head said during the Russian Banks Association meeting on Tuesday. “The Bank of Russia regularly conducts stress tests and their results show that the key indices, including the sufficiency of cumulative capital, even with the worst case scenario of oil prices at $40 per barrel, remain above the necessary minimum taking into account the measures in recapitalization that were made,” Nabiullina said. That shows the banking sector maintains a substantial capital buffer and is able to counter serious shocks even if the crisis deepens, she added. The factors which had been weighing on the Russian ruble had passed and repayment of foreign debt could be financed without having a significant effect on the Russian currency’s value. "In our view, the appreciation was due to a number of factors: the stabilization of oil prices, the end of the peak payments on foreign debts, and a more uniform sale of foreign currency earnings by exporters will definitely increase our key rate and the development of monetary instruments refinancing", Nabiullina said. Meanwhile, inflation in Russia hit a 13-year high of 16.9 percent annualized in March and 7.4 percent since the beginning of the year, according to Rosstat data released Monday. The head of the Central bank said she expected inflation to go down to nine percent by next March. The CB would continue cutting interest rates insofar as inflation risks receded, she added. The bank has already cut rates twice this year. The Central Bank of Russia unexpectedly raised its interest rate from 10.5 percent to 17 percent through the night of December 16 in an effort to stem the ruble’s dramatic slide and to curb inflation. The decision followed a 10 percent drop in the value of the Russian currency, which was the biggest intraday drop since 1999. The ruble fell about 44 – 46 percent against the dollar last year mainly due to the sharp drop in oil and Western sanctions. The oil benchmark lost 50 percent of its value during the last six months of 2014. However, the Central Bank's emergency interest rate hike failed to stop the ruble's slide against hard currencies, only temporarily calming the ruble's sharp decline. However, the Russian currency rallied 4.4 percent during the first three months of 2015, becoming the best-performing currency. Oil has played a much less prominent role in the ruble’s exchange rate; the currency is currently doing better than Brent crude. The Russian economy has been regarded as recovering by Russian and the US economists while all of its key indicators have been improving lately.